The turbines will be installed in several wind farms being developed in the states of Andhra Pradesh, Karnataka and Rajasthan. Gamesa plans to supply 23 GAMESA G97 2.0 MW wind turbines, producing 46 MW of power, to ITC Paperboards and Specialty Papers Division, subsidiary of the Indian group ITC. Wind could also attract US$10 billion in investment every year and create 213,000 green collar jobs, says the industry. Deal is part of a 300 MW framework agreement reached in 2013, under which orders for 250 MW for installation at various wind complexes have already materialised. Beyond the supply and installation of 50 Gamesa G97-2.0 MW turbines, the agreement contemplates the provision of the related operation and maintenance services for an initial five-year period. 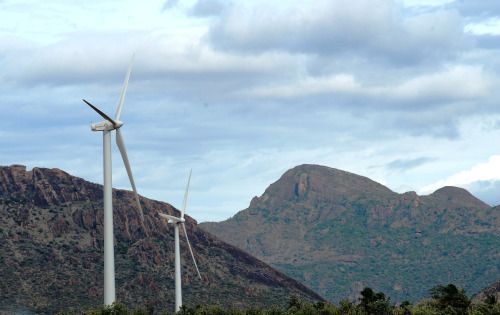 The turbines will be installed in several wind farms being developed in the states of Andhra Pradesh, Karnataka and Rajasthan, which are slated for commissioning in two phases: September 2014 and March 2015. This new contract marks an important milestone for Gamesa’s book of orders from independent power producers (IPP) in the Indian wind energy segment, boosting its local credibility as a turbine OEM. Gamesa is present in India as technology provider and wind farm developer, with a pipeline of 4,300 MW. The wind tubine manufacturer has installed more than 1,100 MW in this market and services 869 MW under O&M agreements. In 2013, this region accounted for 22% of Gamesa’s total sales volumes.